Chris and Sonja - The Sweet Seattle Life: Seattle Urban Farm Store?! Oh, Seattle! You are such a nifty city. You allow chickens, ducks, goats, and honeybees within your city limits. But why is it that I have to travel for miles outside of the city to purchase supplies for my dear chicks and bees? Why do you not have an urban farm supply store? 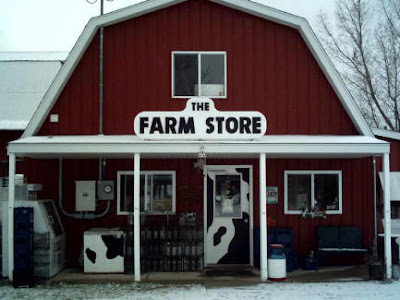 Anyone interested in starting a farm store with me? We could call it The Urban Farm. Or The Seattle Farm Store. The Seattle Farm Company? How about The Farm Company? Seattle Farmers Supply. The Urban Chicken. Oh, I like that one!